Vinson Massif is the highest mountain of Antarctica, lying in the Sentinel Range of the Ellsworth Mountains, which stand above the Ronne Ice Shelf near the base of the Antarctic Peninsula. The massif is located about 1,200 km (750 mi) from the South Pole and is about 21 km (13 mi) long and 13 km (8 mi) wide. At 4,897 metres (16,067 ft) the highest point is Mount Vinson, which was named in 2006. Vinson Massif was first seen in 1958 and first climbed in 1966. 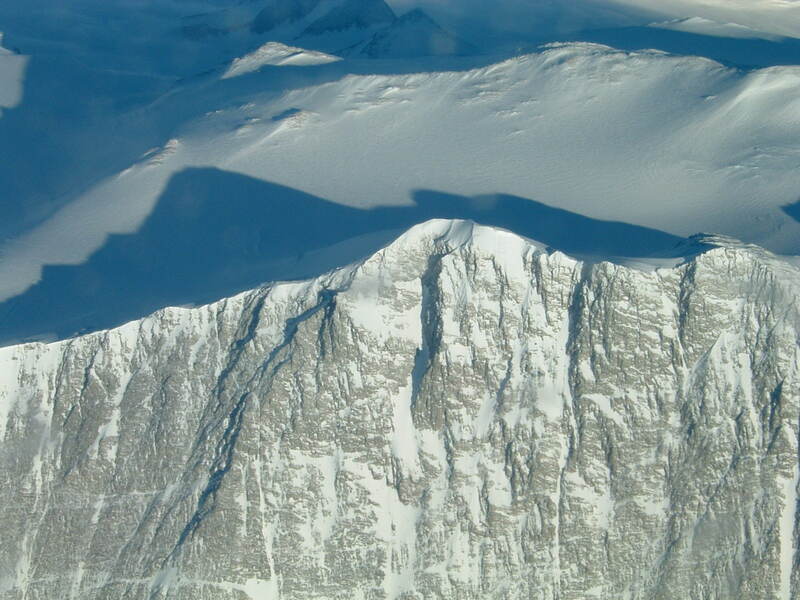 An expedition in 2001 was the first to climb via the Eastern route, and also took GPS measurements of the height of the peak.As of February 2010, 700 climbers have attempted to reach the top of Mount Vinson. The current height (4,892 m/16,050 ft) resulted from a GPS survey by the 2004 Omega Foundation team comprising Damien Gildea of Australia (leader) and Rodrigo Fica and Camilo Rada of Chile. Since 1998 and continuing through 2007, the Omega Foundation has placed a GPS receiver on the summit for a suitable period of time to obtain accurate satellite readings. A high mountain, provisionally known as ‘Vinson’, was long suspected to be in this part of West Antarctica, but it was not actually seen until January 1958, when it was spotted by US Navy aircraft from Byrd Station. It was named after Carl Vinson (also the namesake of an aircraft carrier), a United States Georgia Congressman who was a key supporter of funding for Antarctic research. The first measurement of the Vinson Massif was established in 1959 at the elevation of 5,140 m (16,864 ft).